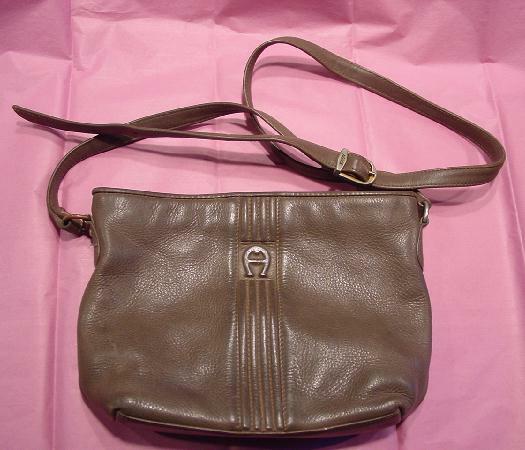 This vintage taupe-olive leather Etienne Aigner purse has a 4 vertical line design down the front with an elevated letter A. It has a top center zippered section with a deep zippered pocket. On either side of the center section is a large open section. There is a 50" by 5/8" adjustable shoulder strap with a somewhat tarnished buckle with Aigner etched on it.